Upscale boys clothes are often found in specialty shops and expensive boutiques, but you can dress your little guy in style without breaking the bank. Do you really get what you pay for? Actually, this is often the case. Parents who want to save money on children's clothing sometimes turn to dollar stores and other shops to outfit their children. While you can certainly find good clothing in many department stores, you should also understand that some clothing that is sold at very cheap prices may not hold up to more than a few washings. If this is the case, you'll find yourself replacing the worn out clothes before your child has had a chance to outgrow them. Sometimes, paying a bit more for boys upscale clothing will actually save you money because the clothing pieces you buy will last and last. This is particularly important if you have more than one child in the family, and you plan on handing down the outgrown clothing to a younger child. Before you think that the term "upscale" means dressy and formal, think again. Upscale typically refers to better construction and material. These qualities can be found in virtually any clothing style, from boys' suits to shorts and t-shirts. You can also find jersey shorts, swimwear, cotton caps, denim pants and shorts, and accessories. If your little guy is into particular clothing designs, you can still purchase trendy, upscale clothing for him. Designer labels often cater to the latest fashion trends, and most of these designs are versatile enough to wear in the classroom and on the playground. While there will always be imported clothing lines, many parents prefer the durability and style of American-made brands. How do you know if a piece of clothing is considered upscale? Price-Price is often a good indication, but don't be fooled into thinking that just because an article of clothing is pricey that means it is upscale. Label-Designer labels that are the real deal are usually considered upscale clothing. Be careful when purchasing knock-off items, however. They might look like designer clothes, but the construction and material is usually sub-par, and you'll find that the item you purchased simply won't hold up to numerous washings. Special details-In some cases, upscale clothing includes specialty items, such as jumpers and tops which are smocked, sweaters that are hand-knitted, and clothing that is personalized. Construction-If you are paying for upscale clothing, you should expect well-made clothing, with material that won't shrink and tight stitching throughout. Where can you find upscale boys clothes? Specialty shops-Stores that specialize in upscale brands usually carry a unique selection of clothing and other items. 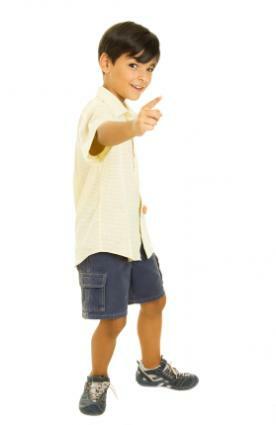 Designer stores-One of the best places to shop for upscale boys clothing is an outlet mall. Outlet malls feature individual stores, like Gap, Gymboree, and more with specific clothing lines. Online-There are numerous online clothing stores that often feature marked-down prices on designer labels. Before you purchase, however, be sure that the store's online site is secure. Check out the store's return policy as well. Popular online sites include Bailey Boys, and 5th Avenue Baby. Amazon.com is another online source for a variety of upscale clothes to fit your budget. eBay-This mega online auction site sells just about anything you need, and you can certainly find upscale clothing for your child here as well. Before you purchase, look at the seller's feedback, however, and read what others have to say about prior purchases. Consignment sales and shops-For some of the best deals, look at consignment sales and shops, where you can find gently used and some new-without-tag items for a fraction of the original price.